The Virginia Equine Artists Association is a nonprofit organization dedicated to creating a wide audience for our artists’ work and a creative environment where they have many learning opportunities to enhance their skills. By participating in our various art shows, exhibitions, art and marketing classes they are able to grow as artists and business people.We enthusiastically encourage our members to pursue their personal goals. 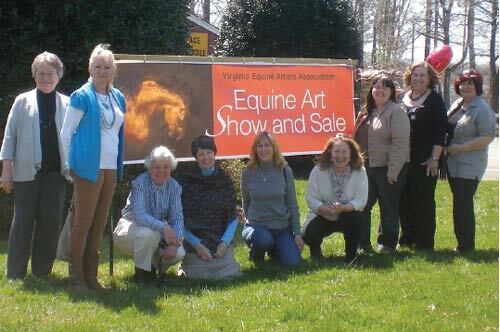 In 2005, four Virginia artists – Wilma Bradner of Richmond, Elaine Hurst of Port Republic, Debby Thomas of Moseley, and Kristin Waters Wise of Greenville founded the Virginia Equine Artists Association (VEAA). Today we are a thriving artists’ association with over 40 members.